We're getting pretty close to kicking off our huge summer program for Budweiser at work. We'll be running the Bud and Burger Championships across the country to find the best amateur burger chef in America and give them a shot at living the life of their dreams in food. I thought it was a perfect time to start baking with Buddy my Budweiser sourdough starter, again. I cranked out some Budweiser brioche buns using Buddy today to be the vehicle for my very own Budweiser burger. 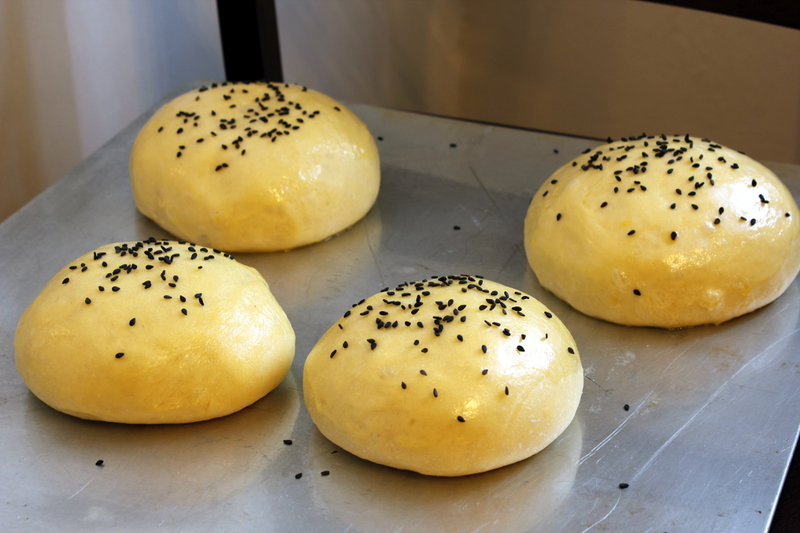 The process was fairly straightforward and these were excellent burger buns - by far the best I've ever put together. 1. Mix yeast, Budweiser, Buddy, Milk, Eggs, Sugar. 3. A little at a time, add dry mix to wet. When half of the dry has been added, add butter and mix well until incorporated. Continue adding dry ingredients until all incorporated. 4. Knead for at least 10 minutes. 5. Let rest on bench or in fridge for at least 30 min. 6. Portion into 100g sections and form into buns using hands. 7. Place on lightly greased pan, cover, and allow to rise until doubled (about 3.5 hours). 8. Preheat oven to 400 F and place a metal bowl of hot water in base of oven. 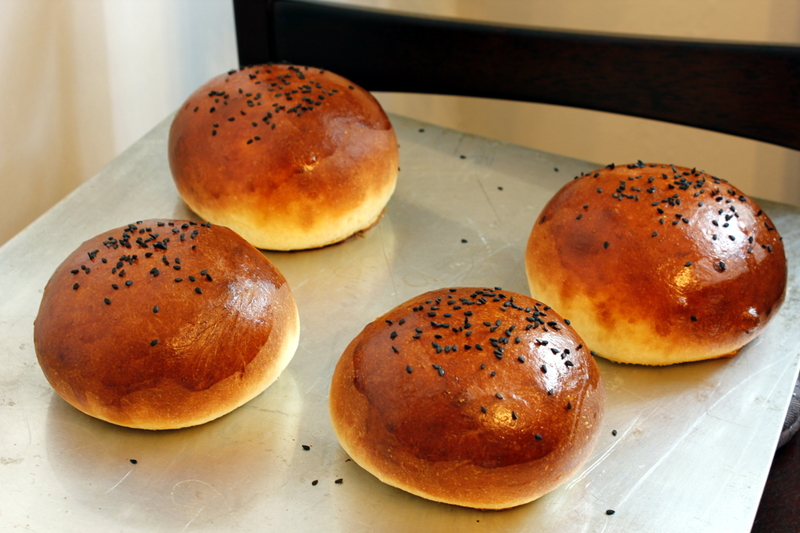 Brush buns with beaten egg and top with sesame seeds if available. 9. Bake for 10 minutes or until rich brown color is achieved.